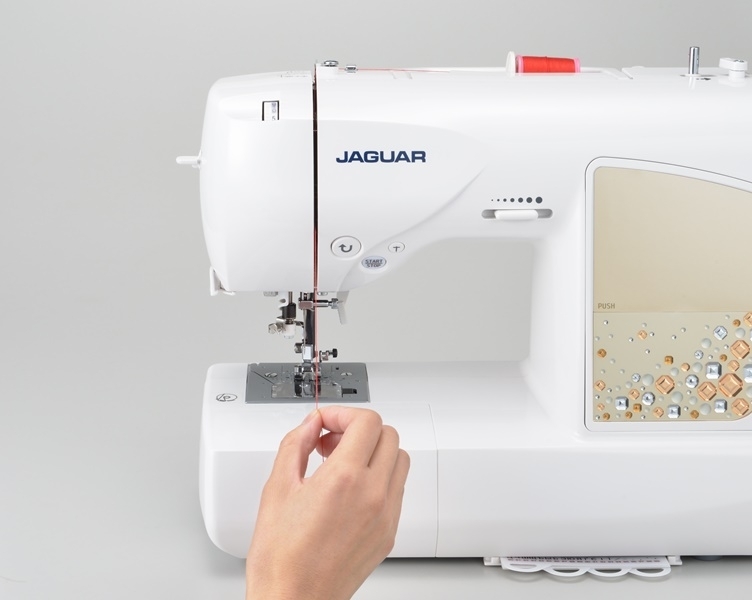 The Jaguar DQS 405 is the perfect computerised product for all levels of sewing, patchwork and dressmaking - making it your perfect companion for all of your sewing projects. 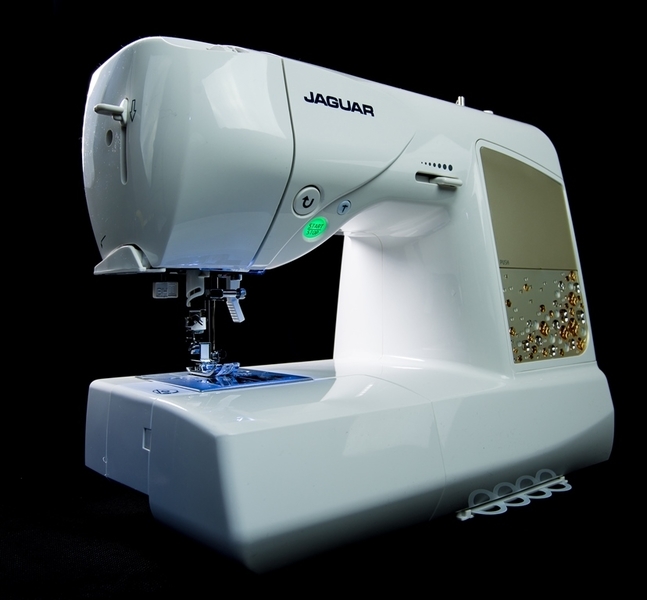 The Jaguar DQS 405 product is the ideal choice for the beginner, experienced and professional textile crafter. 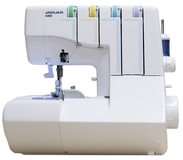 This machine has some of the best features available for dressmaking, quilting, alterations, crafting, free hand embroidery or making home furnishings. 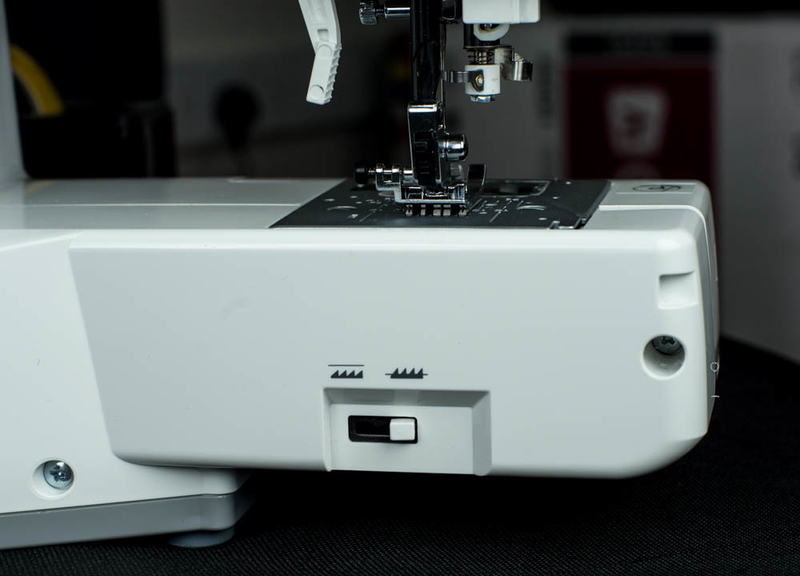 With just the simple push of a button, this computerised product allows you to select the stitch and the optimum settings for length and width. 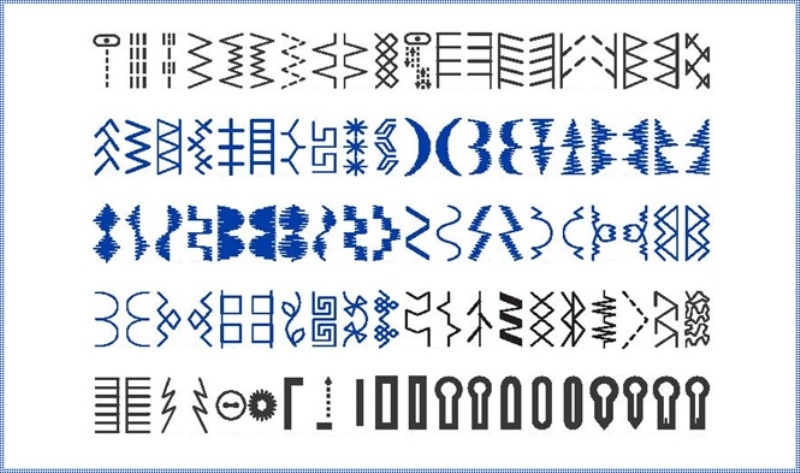 You can use the built-in memory to combine stitch patterns, alphabets and numbers for endless possibilities that you can save and use on future projects. 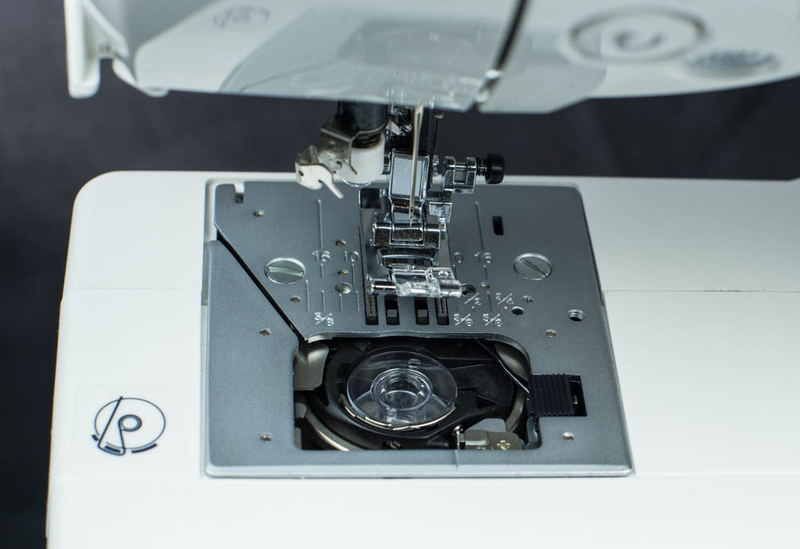 After 60 years of manufacturing products for users all over the world, Jaguar Sewing Machines is pleased to launch its new exclusive DQS - Digital Quick-threading System. 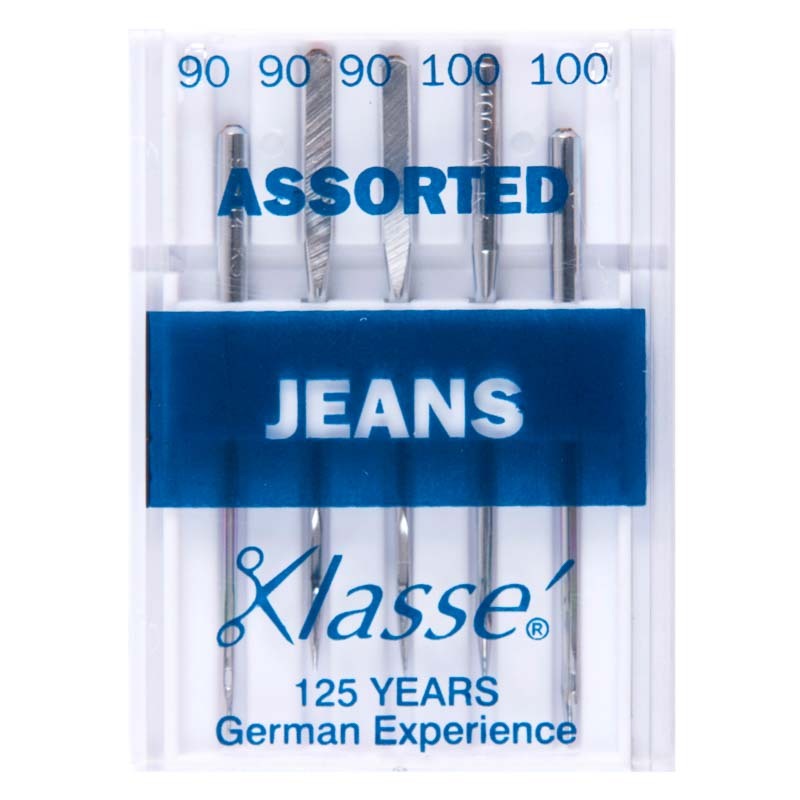 This harnesses digital technology to make threading easy as 123! 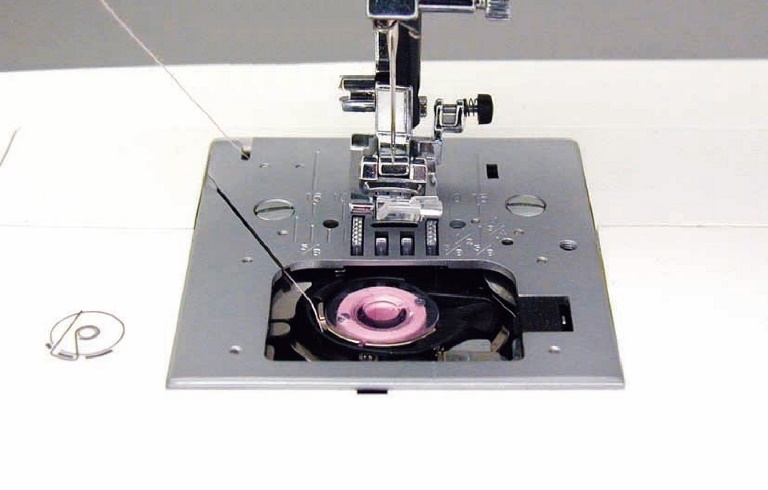 Just guide the thread directly from the spool to the needle area through a single groove and thread the needle by simply pressing the threading lever, for truly one-touch threading. 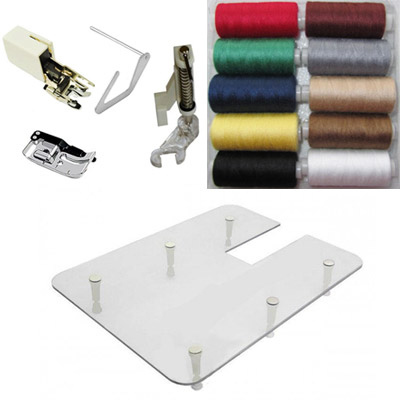 This product offers you 500 Built-In Stitches - with a large variety of stitches for embroidery, dress sewing, quilting, heirloom, crafts, home decorating, decorative sewing and putting together complex sewing projects. 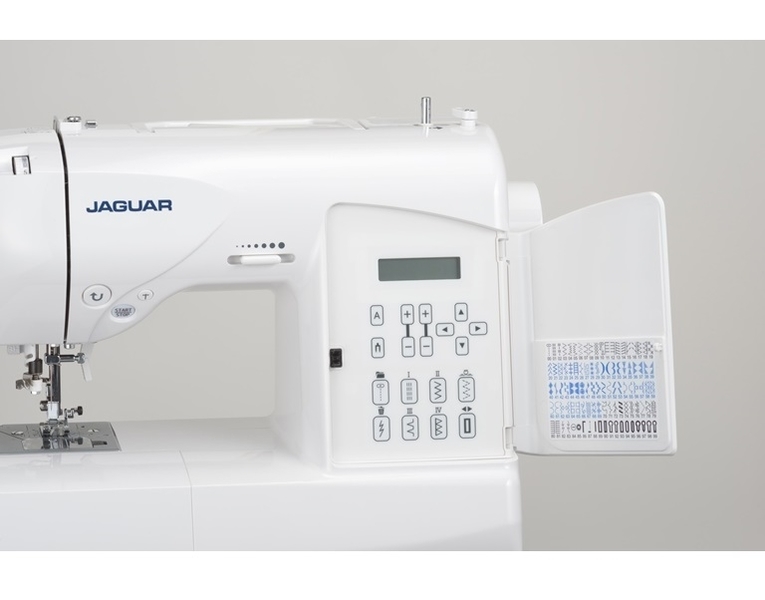 The Jaguar DQS 405 product is your ideal choice and makes sewing a pleasure! 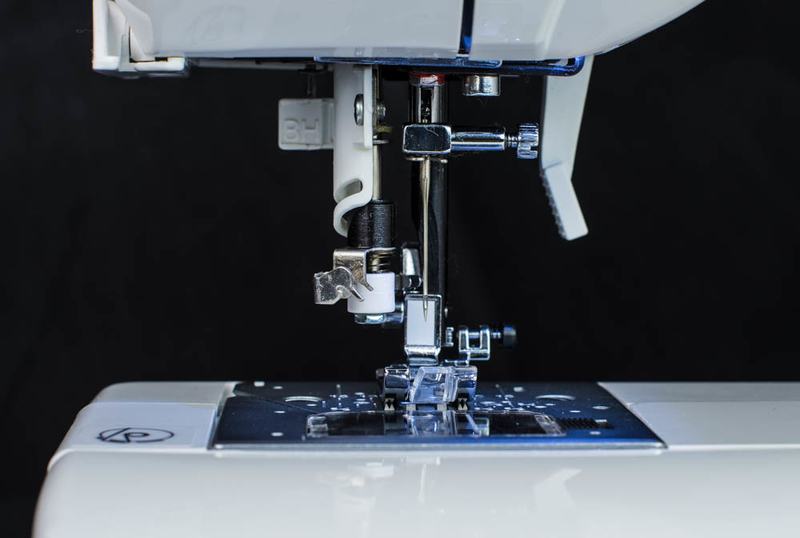 Tie-off decorative stitches with just a push of a button; with 4 tiny tacking stitches the start and end of the pattern is reinforced, ensuring quality stitching and prevents unravelling. 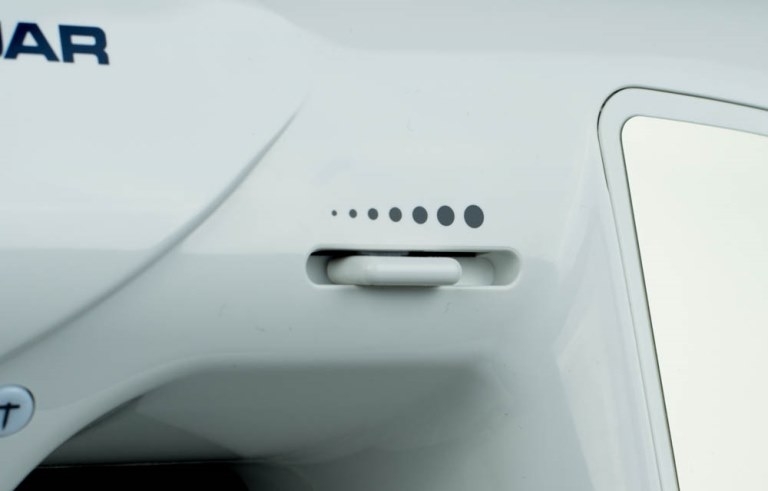 Is it possible to have a video of the threading system? 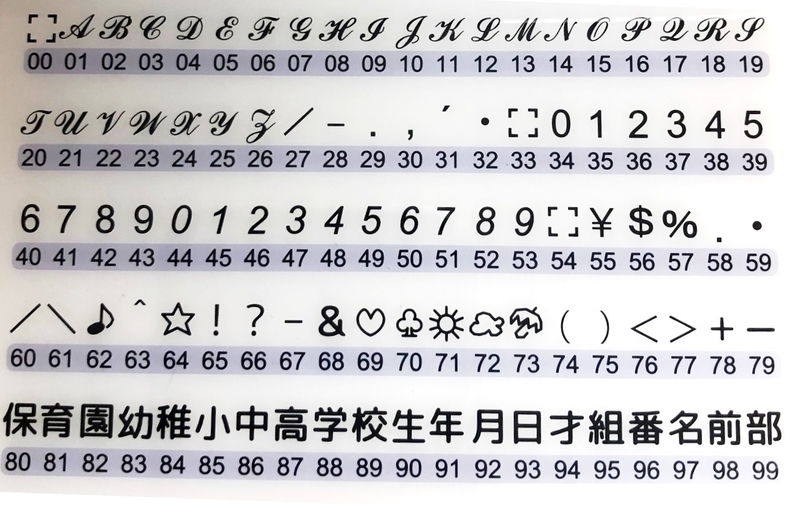 Hello Where can I find a picture of the font / lettering options offered on this machine please? Can't recommend both GUR and this particular item enough. Steve went above and beyond to make sure I got the best item for my needs, and this Jaguar is phenomenal. So easy to set up and use, and the quality is amazing! 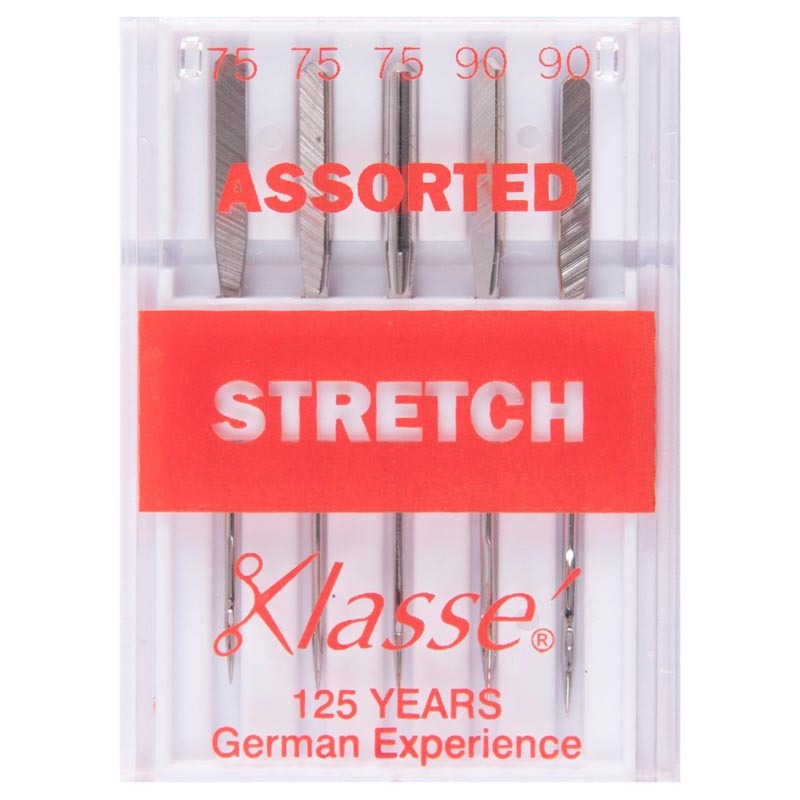 Looking forward to many years of happy sewing. 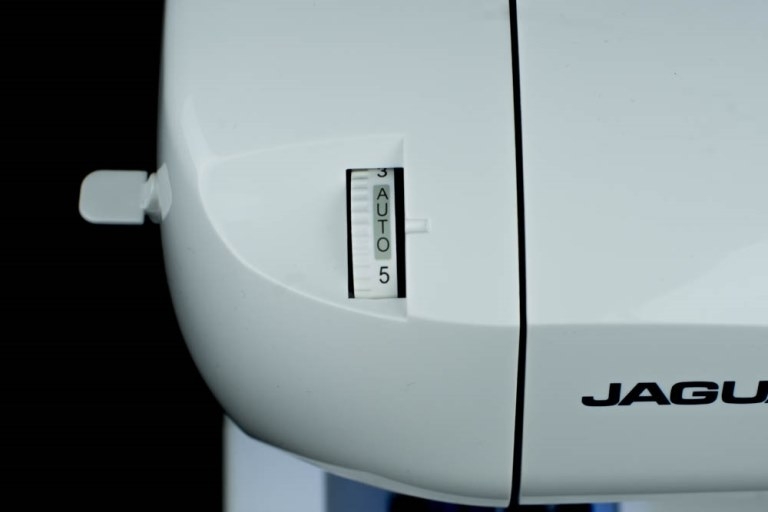 Received my Jaguar DQS 405 very promptly a couple of weeks ago. Was pleased with the quality of the build, and the solidness of the case. 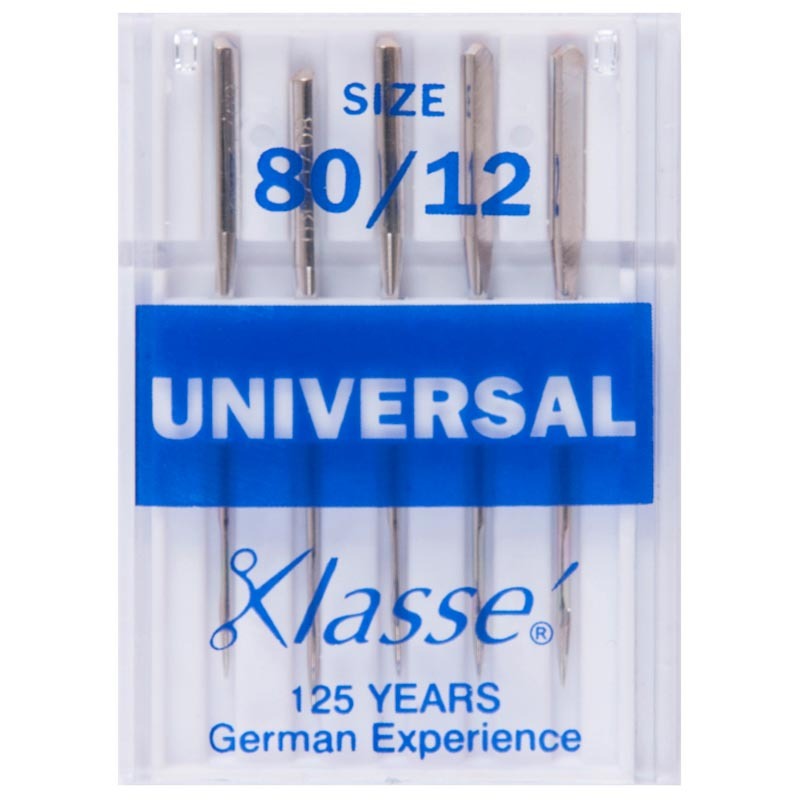 Having had a couple of weeks now to try it out - the needle threader is fab - my eyesight not what it was. I have done some straight sewing on it and now learning how to use the embroidery stitches. My old item is at least 30 years old so using a computerised item rather different but so far so good. Overall very pleased with my purchase and service from GUR. I've only just bought this item and can't believe how good it is. For the money it seems to be a well built good quality item. 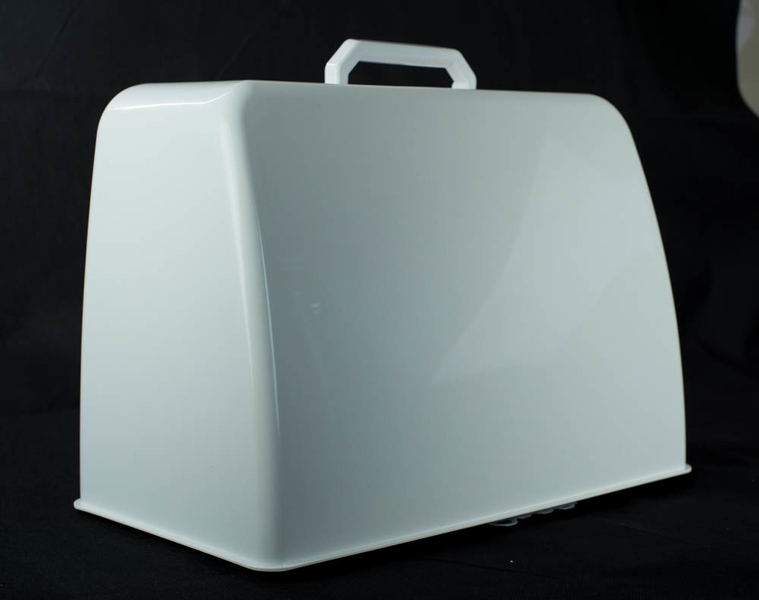 I bought this item when my old one broke down soon after starting the massive task of making new loose covers for my lounge suite. 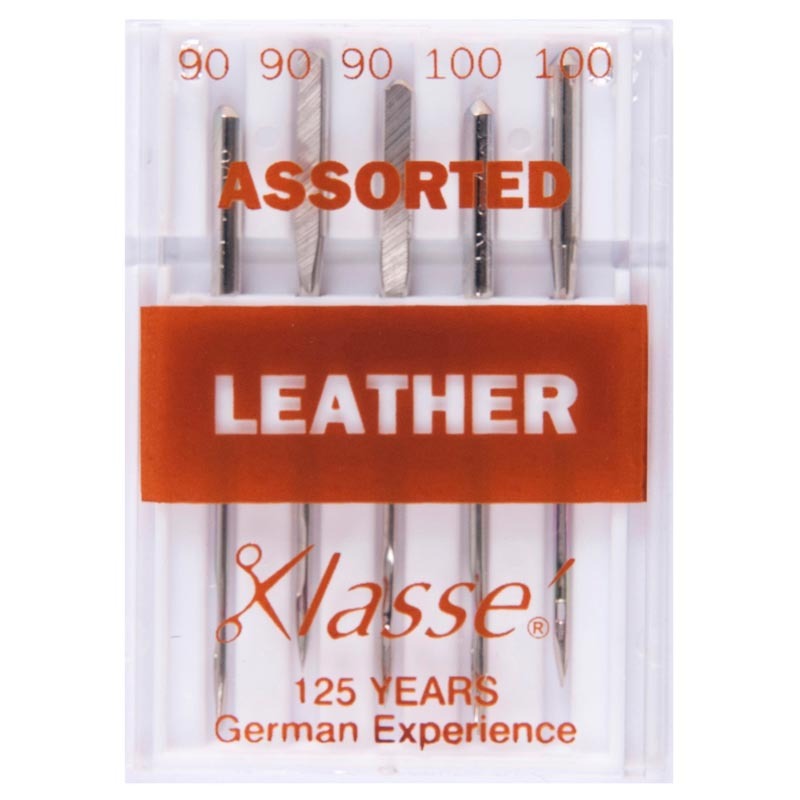 The new item is excellent, very smooth and easily able to deal with many layers of fabric effortlessly. 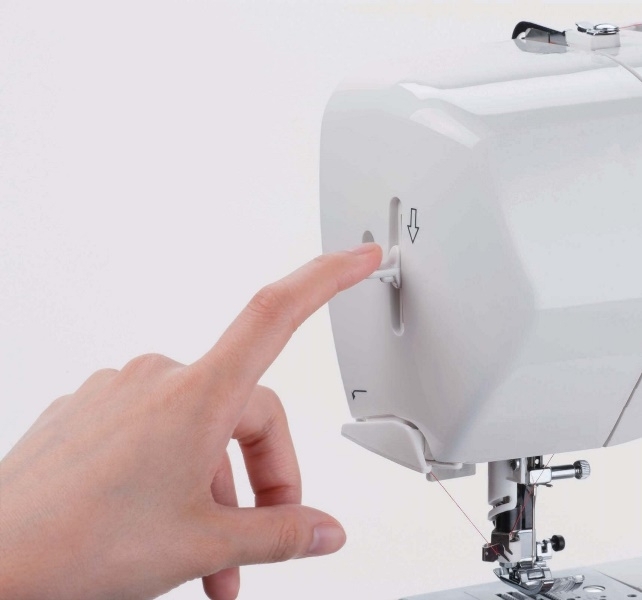 The bobbin just drops in and threads easily and the whole operation is very quick. This item would be ideal for a beginner. The price is amazing and mine was delivered in 48 hours. Excellent service, highly recommended. 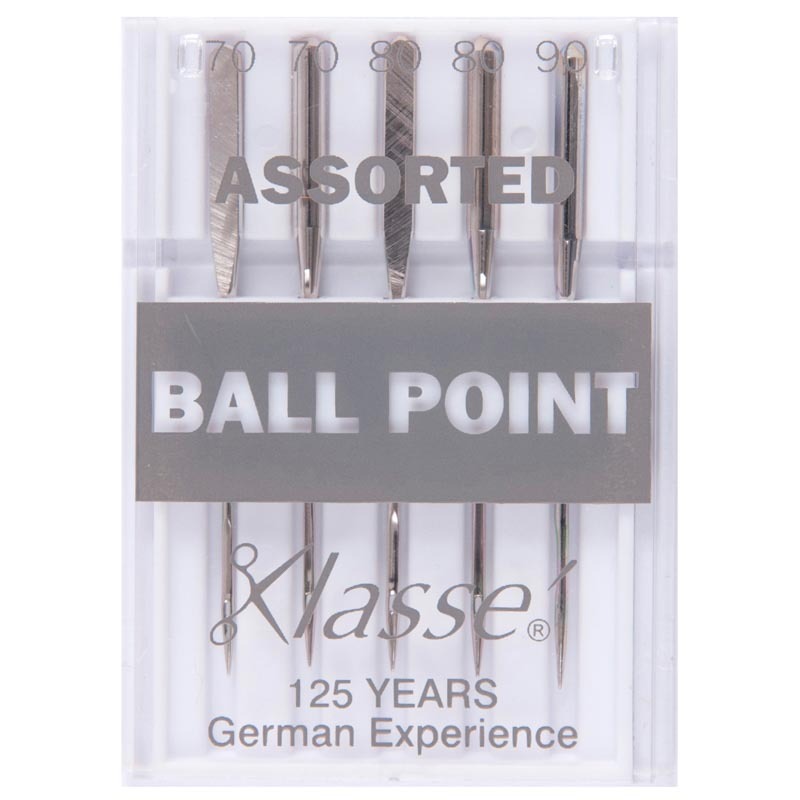 Great service great item a breeze to use- so simple my teenager loves to use it! 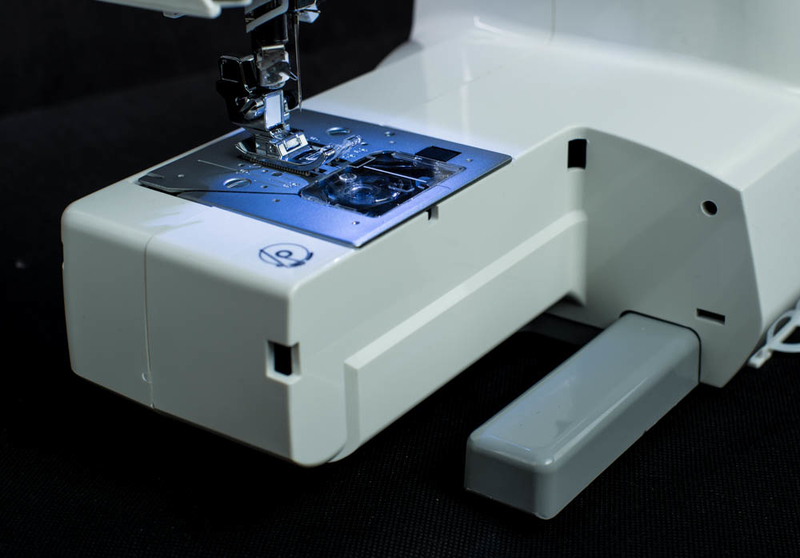 Good features practically sews by itself! Sturdy solid item. I keep looking for new projects to do lol . 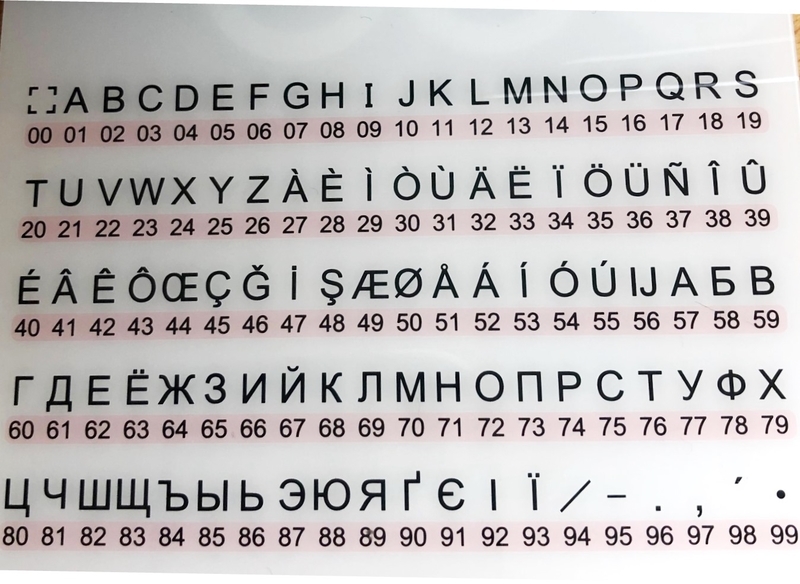 Alphabet and numerals make it easy to personalise. 1 criticism though I find it has far fewer stitches than the 500 advertised !! But what is there are good for quilting etc.. I love my new item. I am a beginner to sewing and I have completed 4 small projects already in 3 weeks. This item is quiet and very easy to use. The quick threading system is a much appreciated nice to have. It everything that one would need in a modern computerised item. Thanks Palma for the excellent service and advice. I am happy with my purchase and would recommend it. Lovely item! Not only looks good but is a breeze to thread. Very smooth in operation with great variety of stiches. Customer service at GUR was 2nd to none! Thank you Palma. Highly recommended. I cannot rate this item or Steven from GUR highly enough. Steven was very helpful and had a sense of humour!!! As he had to guide me through the online ordering process, that was a bonus! 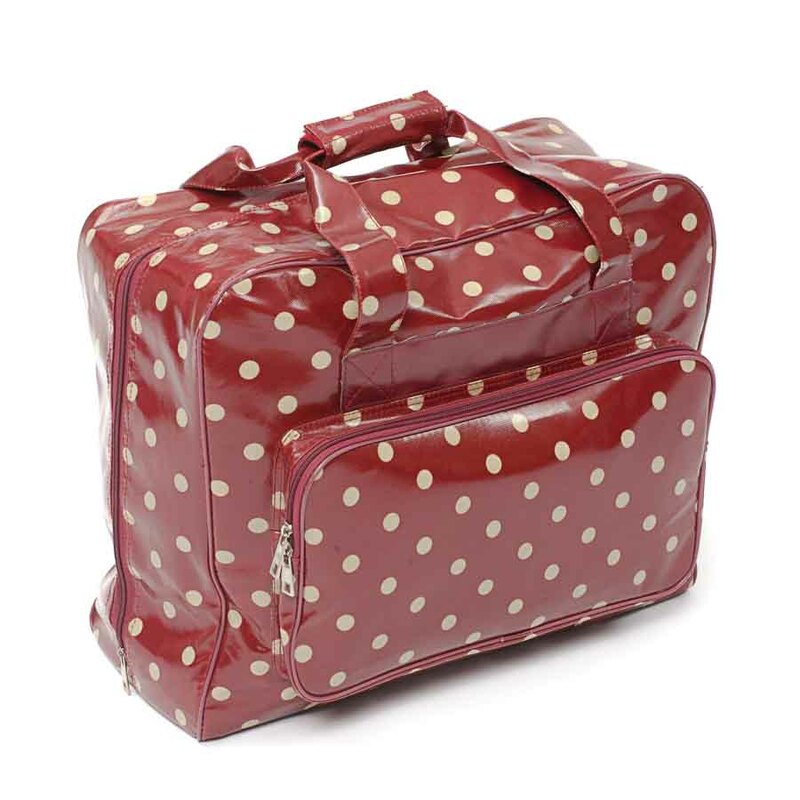 I got my lovely new item a couple of days after ordering, and I loved it from the word go. It is so easy to use, and came with a very comprehensive manual. Free cottons, needles, extension table and lots more goodies AND I part exchanged my item for £100 making this an even bigger bargain :) I highly recommend this item and GUR. My mum surprised me with my first new item for all my university projects. 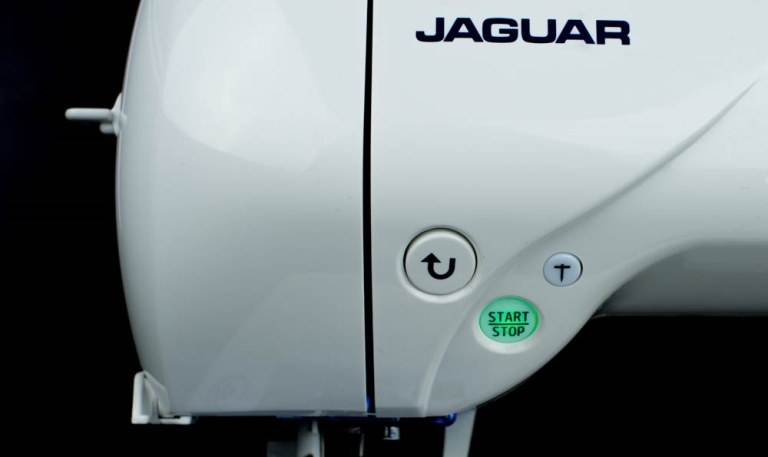 Love the jaguar item, love the easy threading, love the easy bobbin loading and love the ease of use. The speed controller is fantastic for a starter like me to be able to control the item to my pace. 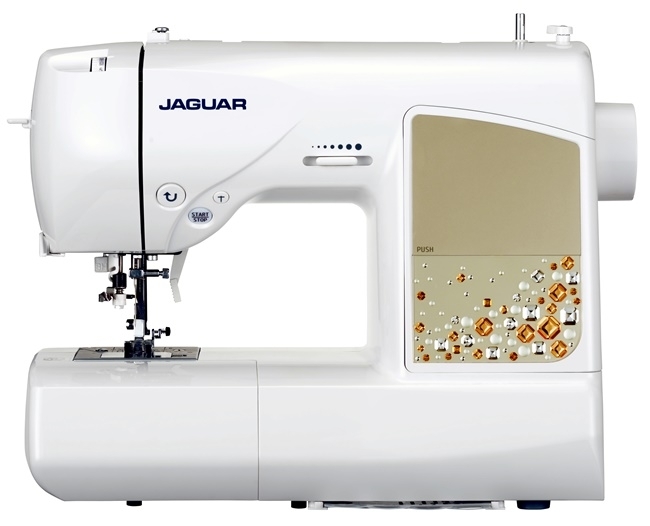 Overall I am extremely satisfied with the Jaguar DQS 405 it’s the perfect companion for me to develop my sewing skills! 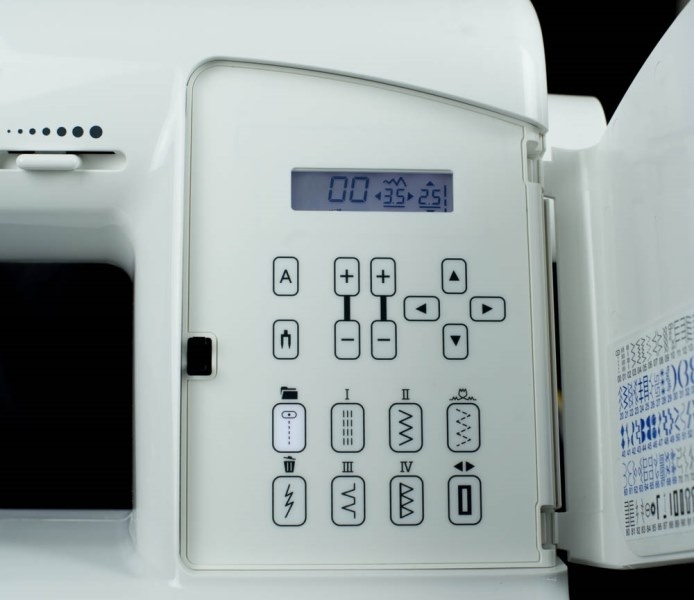 Easy to use with loads of fabulous sewing stitches. 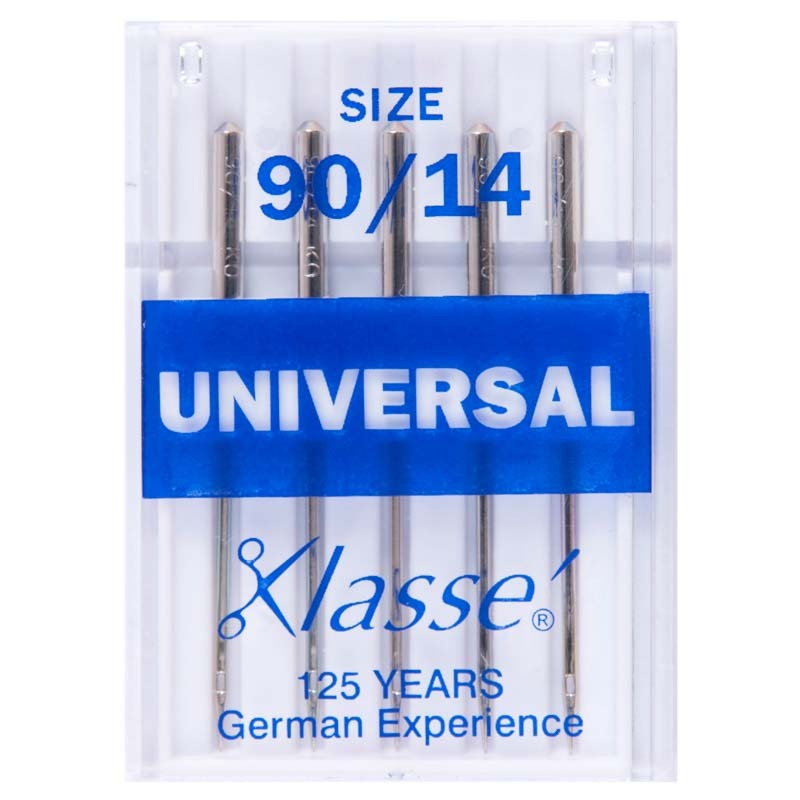 Easy threading.......LOVE the needle threader, my friends were so surprised when showed them that I could thread the needle without looking at item. Will recommend this item to anyone.